Our family has been so greatly blessed by the works of John Bunyan. Expositions from Pilgrims Progress, videos, tapes and books all have served to instruct us. It is interesting to note that pioneer missionary to inland China, Hudson Taylor, used a chinese translation of Pilgrims Progress in his discipling classes to young converts! Oh, that you and I might get into the very heart of the Word of God, and get that Word into ourselves! As I have seen the silkworm eat into the leaf, and consume it, so ought we to do with the Word of the Lord  not crawl over its surface, but eat right into it till we have taken it into our inmost parts. It is idle merely to let the eye glance over the words, or to recollect the poetical expressions, or the historic facts; but it is blessed to eat into the very soul of the Bible until, at last, you come to talk in Scriptural language, and your very style is fashioned upon Scripture models, and, what is better still, your spirit is flavored with the words of the Lord. I would quote John Bunyan as an instance of what I mean. Read anything of his, and you will see that it is almost like the reading the Bible itself. He had read it till his very soul was saturated with Scripture; and, though his writings are charmingly full of poetry, yet he cannot give us his Pilgrim's Progress  that sweetest of all prose poems  without continually making us feel and say, "Why, this man is a living Bible!" Prick him anywhere  his blood is Bibline, the very essence of the Bible flows from him. He cannot speak without quoting a text, for his very soul is full of the Word of God. I commend his example to you, beloved. Mt. Zion Online Mt. Zion offers a cassette tape lending library. Included in this library are a series of sermons taken from pilgrims progress. Bunyan Archive Many of John Bunyan's works are offered here for your electronic reading. Check out Reprobation Asserted and The Life and Death of Mr. Badaman. Grace Abounding The text to John Bunyans autobiography. This is a book which has been read more than once by both my wife and myself. Very Good! Holy War One of John Bunyan's great allegories. The Pilgrim's Progress One of our all-time favorite books. Please if you haven't one, get a copy of this book, and read it for yourself and for your family. Spurgeon's Pictures From Pilgrim's Progress @ Pilgrim Publications We read this book as a family thoroughly enjoying Spurgeon's lessons drawn from and illustrated with Bunyan's Pilgrims Progress. The Enchanted Ground This is one of the chapters from the book mentioned above. It was originally preached by Charles Spurgeon to his congregation on Feb 3, 1856 the New Park Street Pulpit. Orion's Gate: Jim Pappas has put together a wonderful dramatized edition of Pilgrim's Progress. This is NOT an abridgement but rather as Mr. Pappas describes it, an amplified version. We have listened and listened again to his tapes. You can almost turn to Bunyan's book and follow along as the dramitazation plays out. A Lesson from Bunyan on Truth's Friends and Foes Here is a sermon based on Bunyan's character, Mr. Valiant-for-the-Truth by Ernest Reisinger. The Game of Pilgrim's Progress This is a board game based on Bunyan's book for families who love the same book. At the time of this writing we do not have this game, hence, I would be very interested in hearing from someone who does, that I might gain from your opinion. Description of Bunyan's Life The life of John Bunyan and the impact of his allegory, the Pilgrim's Progress. 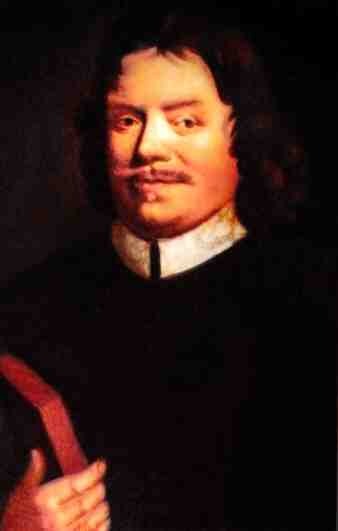 Interesting facts about John Bunyan stated briefly. Please write and let me know if you are aware of any other great resources which should be listed on this page. All links on this page contain valuable resources regarding John Bunyan or the works of John Bunyan. A link from this page does not endorse EVERYTHING you may find there. Please use discernment. If you have any questions regarding these links please let me know.